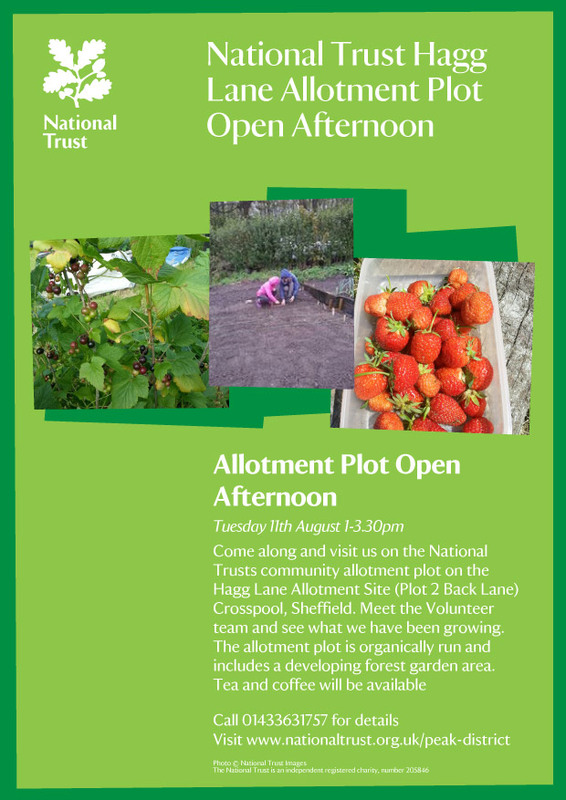 The volunteers on the National Trust Community Allotment plot on the Hagg Lane Allotment site are inviting you to an Open afternoon on Tuesday 11 August from 1-3.30pm. This entry was posted in gardening, volunteering and tagged allotment, crosspool, hagg lane, national trust, open afternoon. Bookmark the permalink.